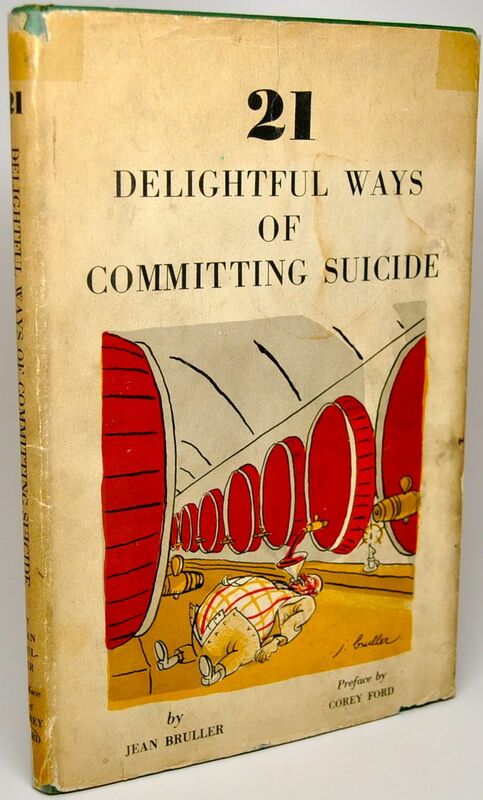 21 Delightful Ways of Committing Suicide - IFA Vintage and Current Book Library - Index Fund Advisors, Inc.
Notes: A morbid and somewhat humorous book published a year after the great crash. 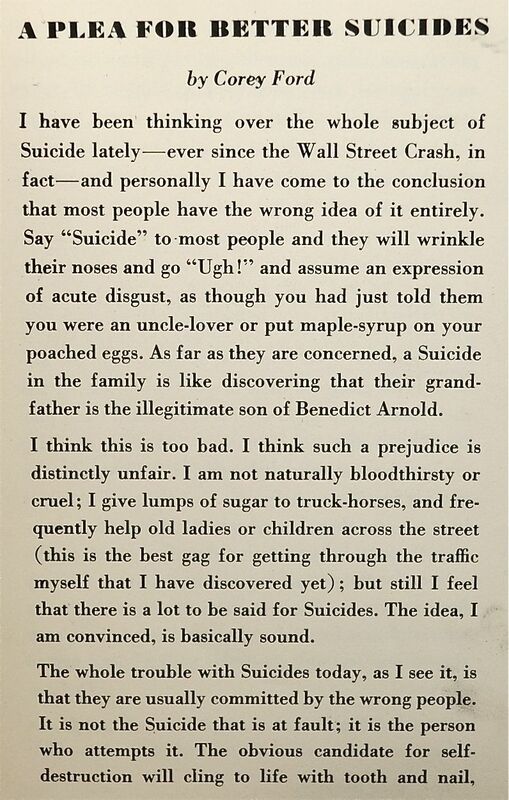 In the preface, Bruller mentions the Wall Street decline as one of the reasons. 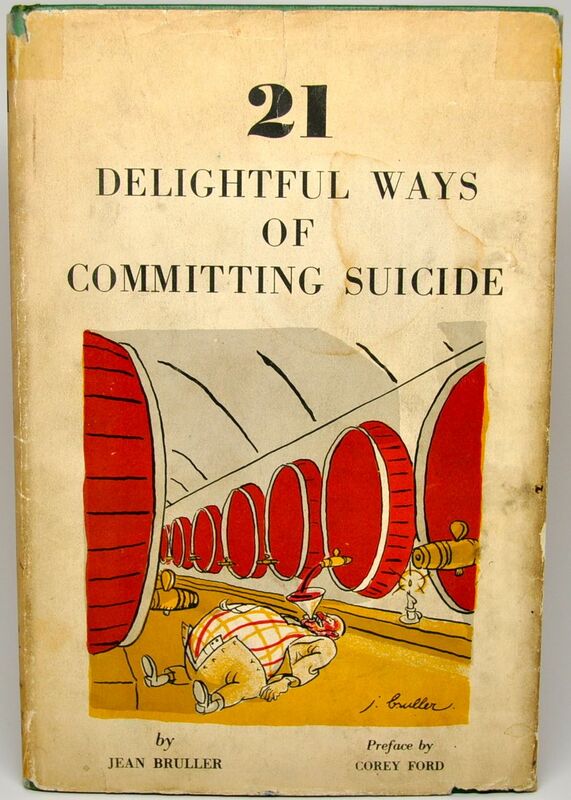 The condition of the book is fine and very fresh. No wear or tears. Sharp corners, a nice tight binding and bright colors. 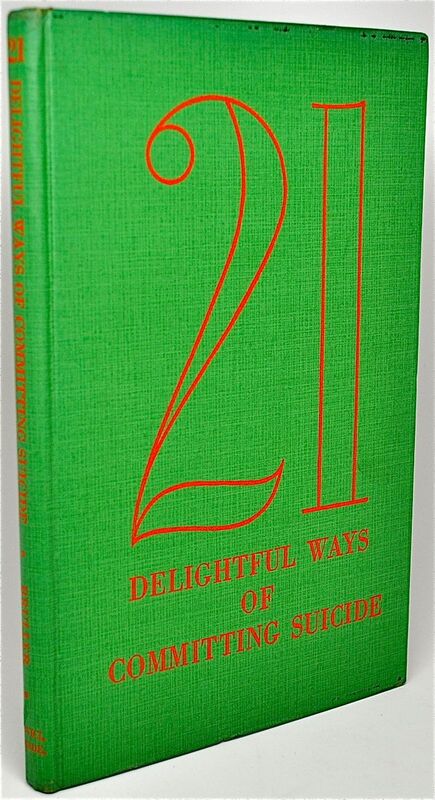 Due to the poor quality of the binding most copies of this title are often in bad condition and without the dust jacket. The jacket on this copy is complete and shows little wear. The only flaw is that it has been mended on the verso. Overall, an excellent example in the very scarce jacket.